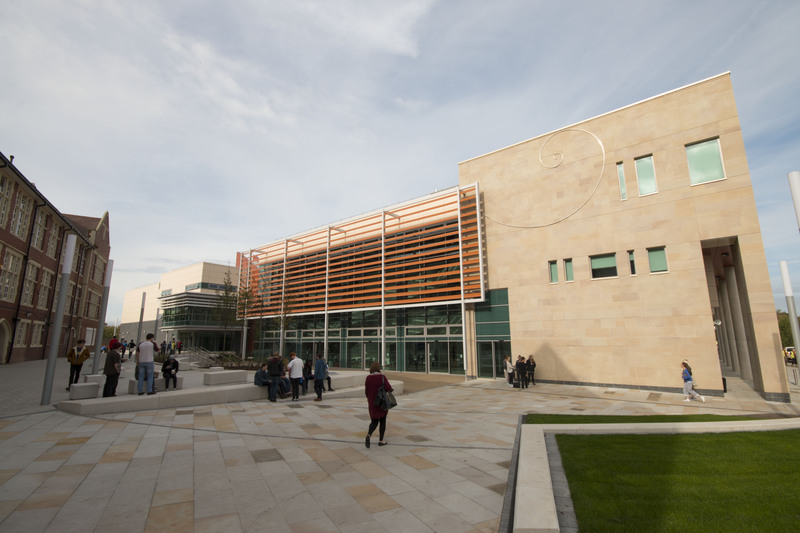 Two new buildings on the Bede campus at Sunderland College have been fitted with a networked lighting management system from CP Northern to ensure optimum use of lighting with minimum energy consumption and carbon emissions. The £22 million expansion of the Bede campus includes a new sports hall with fitness suite, sports laboratories and teaching rooms, while the second building provides a new performance hall, dance and drama studios, music recording studios and a digital film lounge. CP Northern’s Rapid system was specified by consultants Desco in the very early stages of the design to support a comprehensive and flexible lighting management strategy that would enable the lighting to be fine-tuned to the needs of each space. This includes interfacing to a DMX-based performance lighting system in the main hall of the performing arts building. The networked lighting management system also delivers presence/absence control and daylight dimming as appropriate to each of the spaces being controlled. The Rapid system is fully addressable and networkable with an easy-to-use graphical user interface. It is designed to meet the most demanding lighting control applications without the cost and complexity of other systems. CP Northern provided a full turnkey design and commissioning service for the project. For more information please visit http://www.cpnorthern.co.uk.